Skin cancer surgery can be daunting. If done improperly, the procedure can leave you with scarring, or your skin cancer could grow back. Mohs micrographic surgery is different. With Mohs surgery, a specialized surgeon can remove your skin cancer, prevent regrowth, and minimize scarring – all in one treatment. So how does the procedure work? 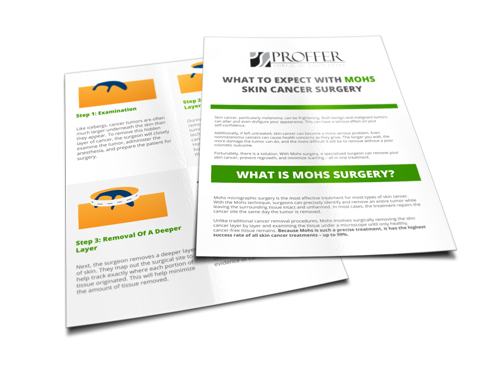 Fill out the form on this page to download our FREE infographic, What To Expect With Mohs Skin Cancer Surgery, to find out.